The St Cynnwr branch of the Women's Institute was formed in September 1967 when two prominent ladies of the parish, Dr Margaret Evans and her mother Mrs A.D. Thomas spread the word that a possible formation of a Women's Institute would be held in Llangunnor School. 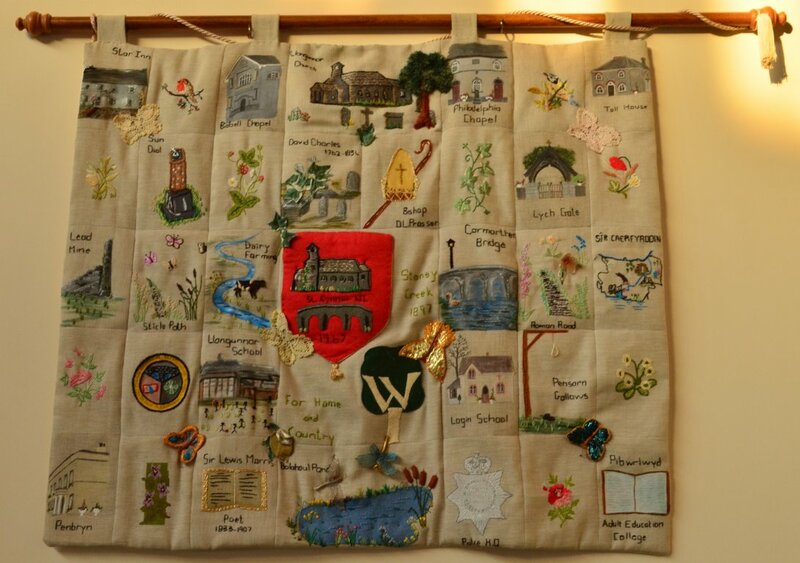 Twenty-seven ladies joined on that first evening and St Cynnwr WI was formed. 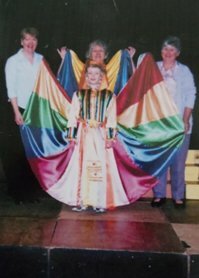 From the outset we were entertainment orientated and have participated in and produced many sketches, drama's and musicals in our own county and proudly for the Federation of Wales WI conferences. Also during the early years we formed our first choir and in 1970 competed in the Llangunnor Eisteddfod choir competition and happily won the cup. At Christmas time we joined forces with St Peter's Players and produced a tape of carols and the spoken word which was used by the Talking Newspaper for the Blind Association. We have been seen serving drinks on the Kidney Fund raiser walks and in the Parish picking up litter on a Keep Wales Tidy campaign. In 1981 the county bought its own house at 11 St Peter's St Carmarthen and we have had several of our members serve on the Executive and Sub-committees over the years and still continue to do so. Our membership has stayed pretty constant and to date we have thirty-three members who enjoy a variety of activities such as creative crafts, cookery, bowling, quizzing, floral art and outings to name a few. But above all we enjoy our fun and friendships. We meet on the first Tuesday of each month (except August) in Llangunnor School at 7pm and we would welcome all with a cup of tea, chat and a smile. We regularly welcome good speakers and demonstrators and are involved and participate in many events organised at county level. The WI can be "everything YOU want it to be".